The security marketplace is flooded with options unknown to those outside the field of locksmithing. Many technicians lack the judgement or qualifications of a highly trained locksmith, yet they are marketed as security experts. With the onset of electronic security in common applications, Mock says they are running into more individuals who have negligible training in physical security. They often learn overnight how to install security systems that they have little or no background or understanding in, let alone the ability to identify whether the product choice is appropriate for the particular application. There is always a need for these type of technicians to recieve an introduction to locksmithing. Many times they are employed by companies that only produce one type of security product making it unlikely that a comprehensive security analysis would take place for a customer. A certified professional locksmith can make recommendations on what physical and electronic systems should be used in the first place. Sure you can choose to change your locks yourself to try and save time and money. Your friends or family members may even attempt to talk you into it. But consider the cost of investment to acquire the right tools to do the job. Then the knowledge you would need to acquire before even starting. Professional locksmiths come fully equipped with all the essential tools necessary to change residential locks. They have the latest equipment to handle even the most sophisticated modern locking systems. They also have the versatility to work with doors and locks made of varying materials that may require different installation methods. If you think about it, a professional locksmith may be the real key to saving you time and money. A well-established, professional locksmith company has a highly trained team on hand of experienced experts versed in all types of locks and locking systems. These experts operate around the clock making them highly accessible and able to respond with quick turnaround times. You could have an entirely new security system installed within 24 hours in most cases done with a high quality of workmanship and no mistakes to correct later. If you request a locksmith during late night hours it could take an extra 15-20 minutes as most locksmith technicians stop working around 10-11 PM, unless you call a 24 Hour Locksmith. Most lock replacements will happen during business hours so it’s best to schedule an appointment. Even if you do have a good grip on how to replace your locks, you may be missing out on other services you would have access to with a professional locksmith. Many locksmith companies install master key systems, rear door security devices, keyless entry systems and buzzer entry systems. In addition, they can provide 24 hour home lockout services, high security lock installation and lock repair service/maintenance. Hiring a professional locksmith has long term advantages over doing it yourself (DIY). 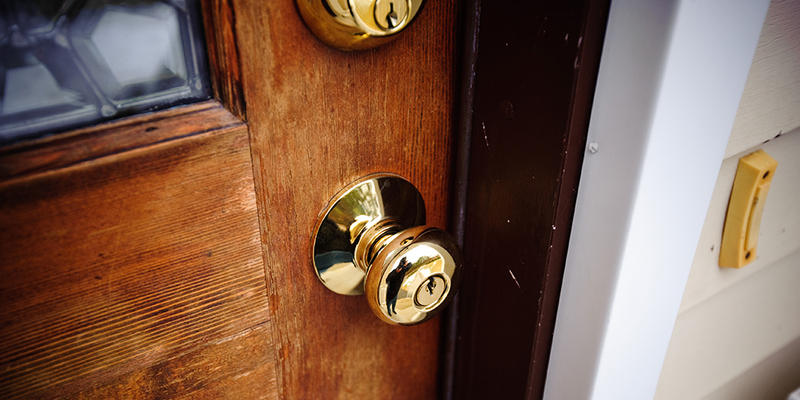 There are a number of certified locksmiths available to homeowners through the internet. It is important to be aware of some things in order to choose the right locksmith, and an understanding of these things will help you find a locksmith that you can trust.